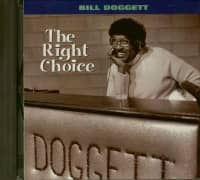 Bill Doggett, born in Philadelphia, became a pianist in Jimmy Gorham's Band in 1935, and the band's leader in 1938. He soon relinquished the position to Lucky Millinder, though remaining with the band until 1949 when he suc-ceeded Bill Davis in Louis Jordan's Tympani 5. 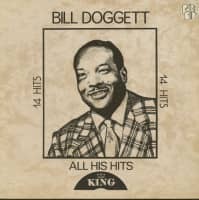 In 1952 he began fronting his own combo, recording prolifically for King over some nine years, the peak of which came in 1956 with 'Honky Took', a jogging instrumental featuring Clifford Scott's sax and Billy Butler's deft guitar. 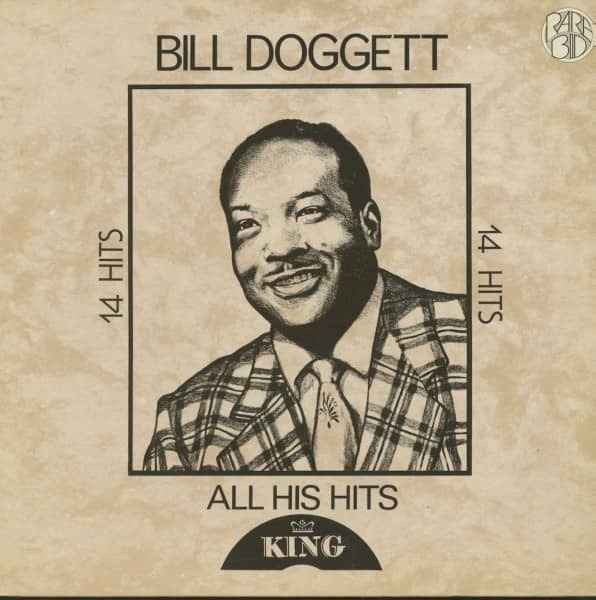 A succession of smaller hits followed before Doggett moved to Warner in 1961. He has subsequently recorded for Columbia, Sue, ABC and Roulette. 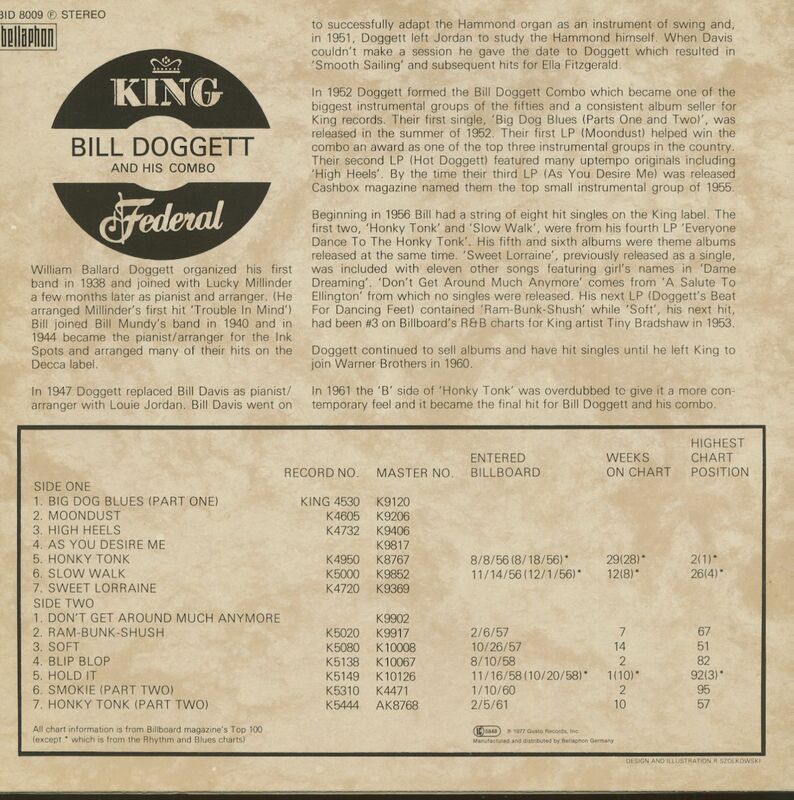 Customer evaluation for "All His Hits (LP)"